Learn how to paint an Iris flower garden in this free step by step acrylic painting tutorial by Angela Anderson. Her easy to follow instructions will guide you through creating your own beautiful canvas artwork. 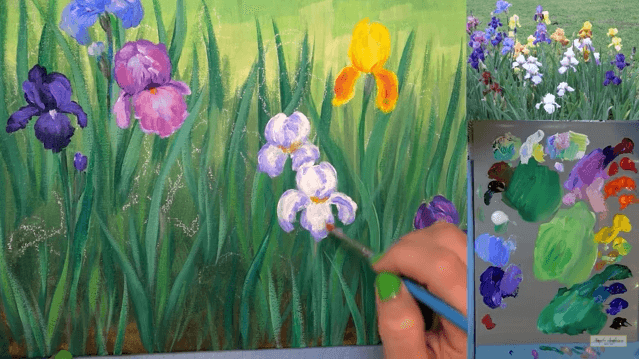 Take out your brushes, paints and canvas, and follow along with Angela as you bring to life a beautiful Iris garden in an Impressionist style.